Make skin look and feel younger with Hydroxatone. Formulated with powerful, youth-restoring ingredients, Hydroxatone®'s AM/PM anti-wrinkle complex intensive and youth serum offer serious firming and smoothing of skin for a radiant, healthy glow. For overnight fixes, look no further than Hydroxatone overnight repair. 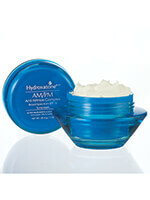 Don't forget to check out our selection of Hydroxatone® microdermabrasion creams or facial brighteners, either.